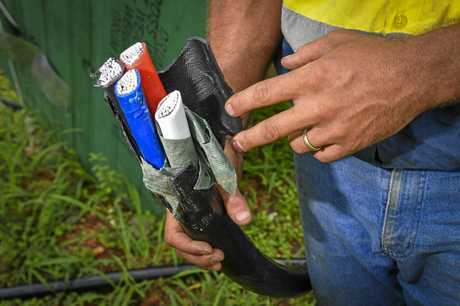 CORFIELDS Electrical Service is looking for answers after the theft of up to $2000 worth of electrical cable from a worksite at the southern end of Beecher Estate. 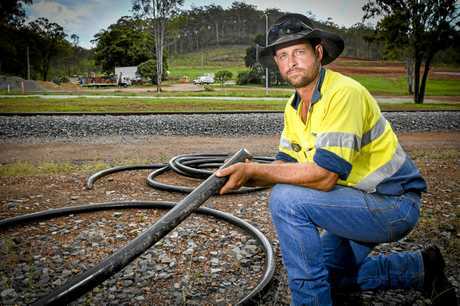 Between 20-30m of aluminium cabling was cut from drums, dragged across the site and dumped on the other side of a rail line that runs parallel to the area. The incident, which occurred overnight Wednesday, comes after the business' workshop was targeted on Hanson Rd when thieves cut through a back fence to steal the same type of cabling. Both incidents have been reported to Gladstone police. Site project manager Ricky Dahtler said the theft was a nuisance for the business. "They've dragged it off the drum, probably about 30m of it, got it over there to cut it up and then realised it's aluminium so just left it," he said. "It affects us because obviously when we buy our cable it's in certain lengths. "In this subdivision here there's about 1100m of this stuff we're pulling in, so you buy them in quantities of 600 or 500 so it's just lucky we have spare. "It's only 20-30m but if it happened to be a situation where it was just bought for one project we'd have to buy another 600m drum, and you have to accommodate that in stock. "At the workshop they did take a couple of drums of copper, we did have the police around to check that out." 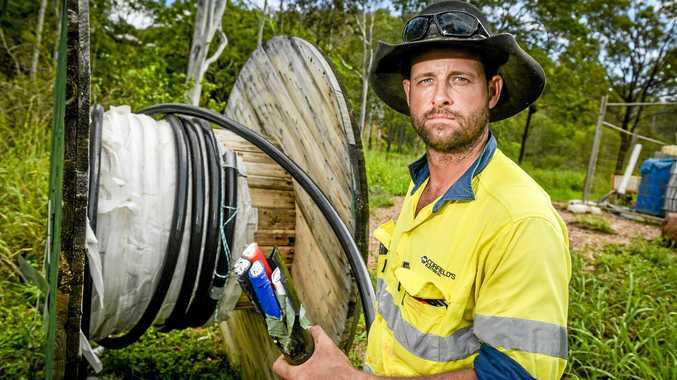 The aluminium cable that was targeted has a price of about $20 per metre. Ricky is scratching his head as to why the area was targeted because it's in a remote section of Beecher with limited traffic and access. He believes the individual or group who broke into the workshop might be the same people who stole from the site. 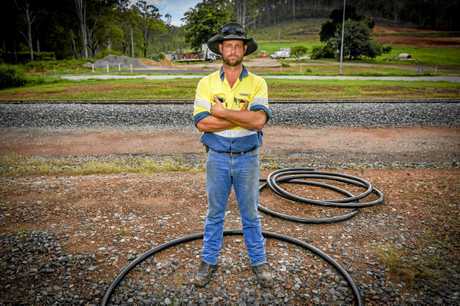 "We do have copper pulled in for the street lights and (worker) John's been out here working all day and he hasn't mentioned anything about that being cut out," Ricky said. "But they do seem to target this. They see it sitting here and look at it and think 'that's a big cable' not realising it's aluminium. "One of the blokes that work onsite here lives at the other end of the estate and if he ever sees anyone driving up and down which is a bit suspicious he comes down and checks the site." 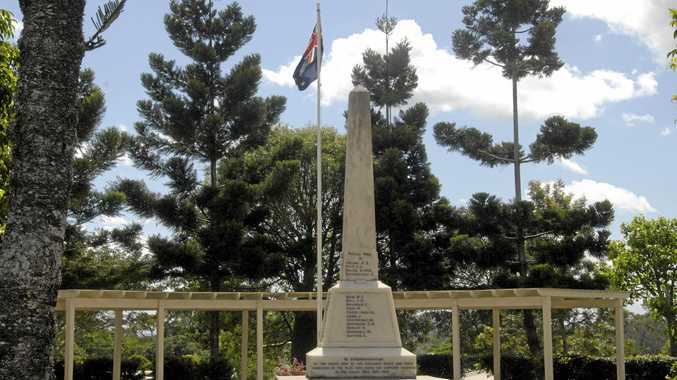 Anyone with information is urged to contact Gladstone Police or Crimestoppers on 1800333000.